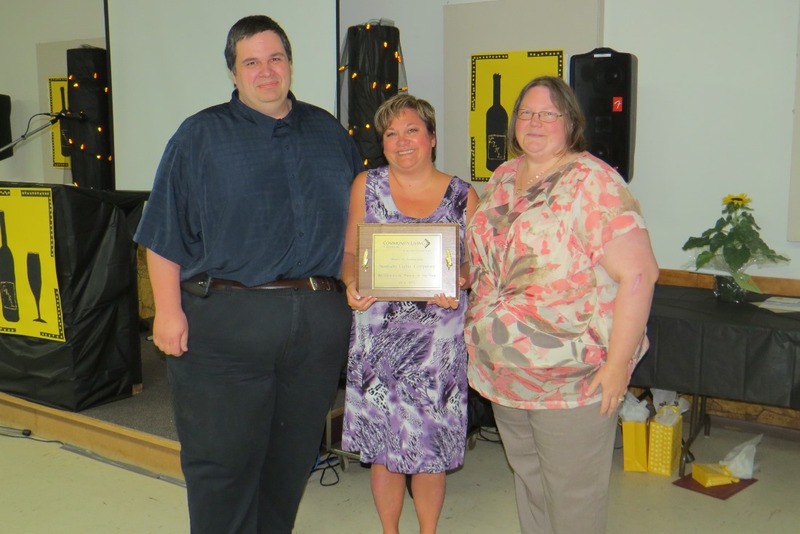 Traci Fong, Director of Finance (center) presents Kevin and Dawn Axcell of Northern Lights Computing with the Community Partner of the Year award at Community Living Kirkland Lake’s 66th Annual General Meeting. Community Living Kirkland Lake Executive Director, Heather Topliss addresses the Board of Directors at Community Living Kirkland Lake’s Annual General Meeting. The event also marked Topliss’ 25th anniversary as Executive Director of the agency. 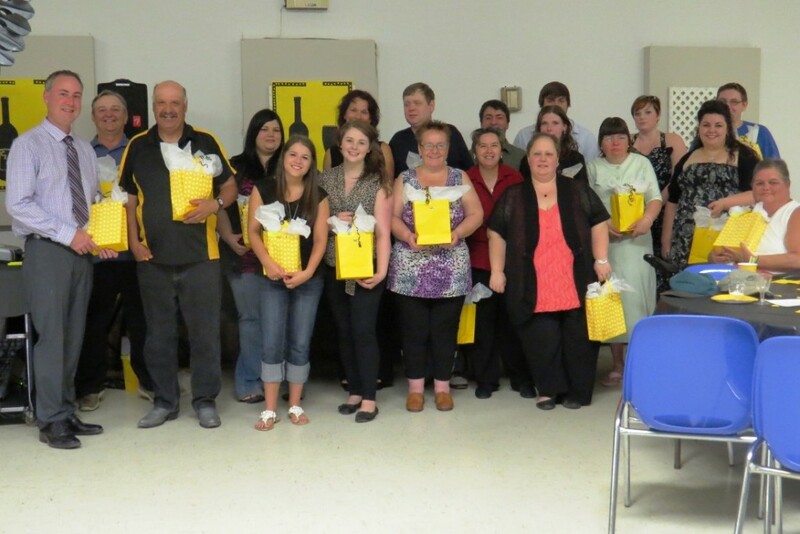 Community Living Kirkland Lake held its 66th Annual General Meeting on June 20, 2013. 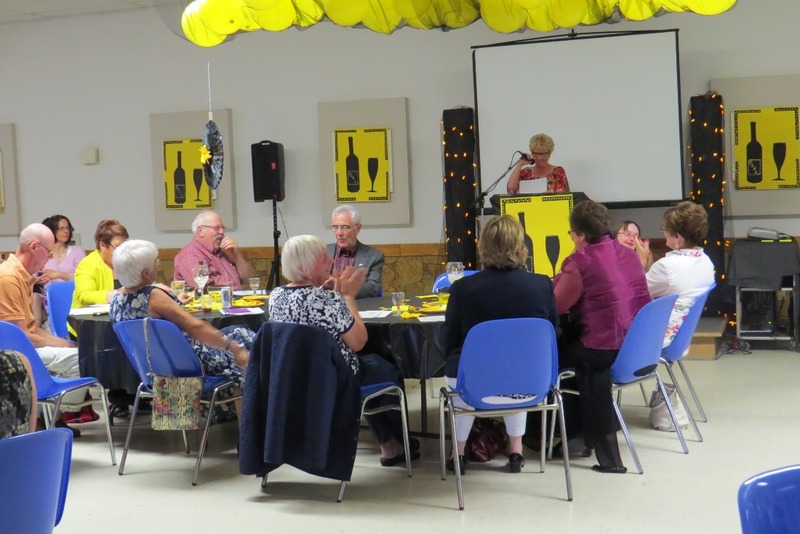 The event was a wine and cheese where the board of directors for the upcoming term was introduced, staff were recognized for years of service milestones and volunteers were given a token of appreciation for the many hours spent volunteering for the agency. Laura Turner and Brian Culhane. Absent, Michelle Fillion and Sid Hamden. 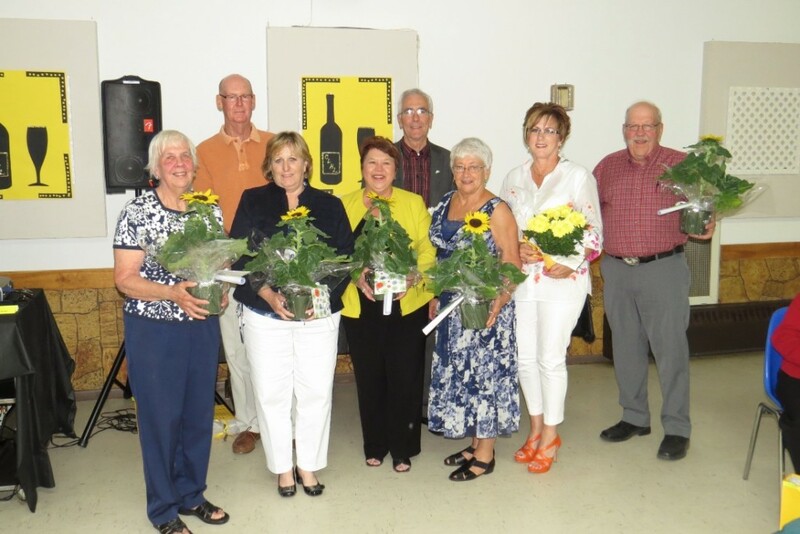 Volunteers at Community Living Kirkland Lake accept a gift of appreciation for their efforts over the past year. in total, 39 staff and community volunteers spent between 10 and over 100 hours volunteering for the individuals supported by the agency. 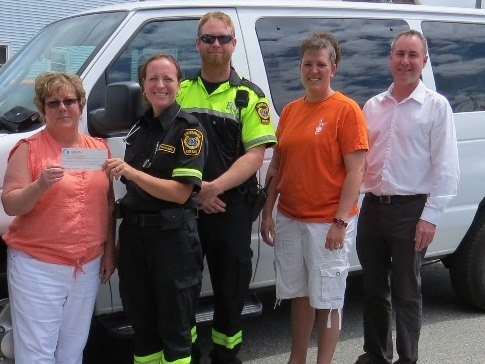 Members of Kirkland Lake EMS present a cheque for $745 to Community Living Kirkland Lake. Recently, Kirkland Lake EMS held a car wash at Pettenuzzo’s, Your Independent Grocer in support of Community Living Kirkland Lake’s van fundraising efforts. Thanks to their hard work and the generous contributions from those who took advantage of the car wash, $745 was raised. Community Living Kirkland Lake wishes to thank Kirkland Lake EMS for their support. Once again, members of the Kirkland Lake OPP have lent a helping hand to Community Living Kirkland Lake and Special Olympics. 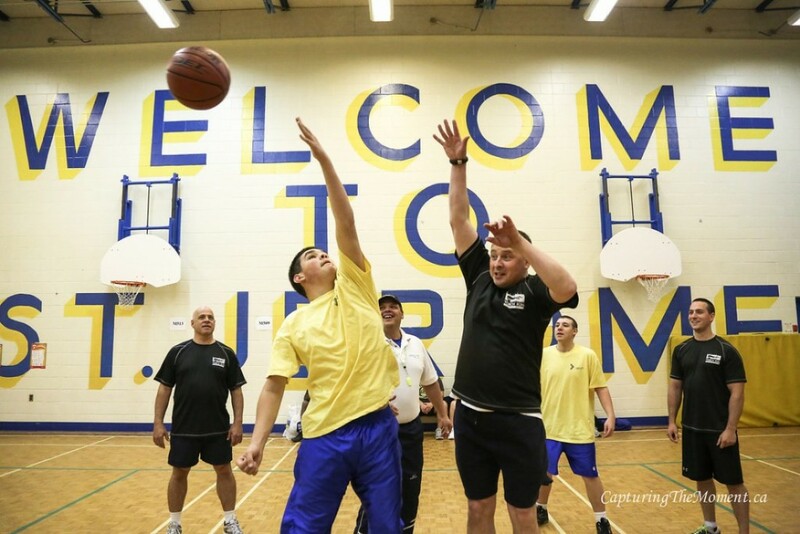 On Friday May 24, the Annual Kirkland Lake Special Olympics Basketball game vs. the O.P.P took place at St. Jerome School. As always, this event continued to be a success. Both teams worked hard, had lots of fun and displayed admirable sportsmanship. The Special Olympics team had contributions from everyone and was able to squeak out a victory in a five person shoot out at the end. With the pressure on, Nathan Hutchison was able to knock down a clutch foul shot to put the Special Olympics team ahead and help them secure the win. In addition to the game, a number of non-perishable food items were donated to the Kirkland Lake Food Bank. 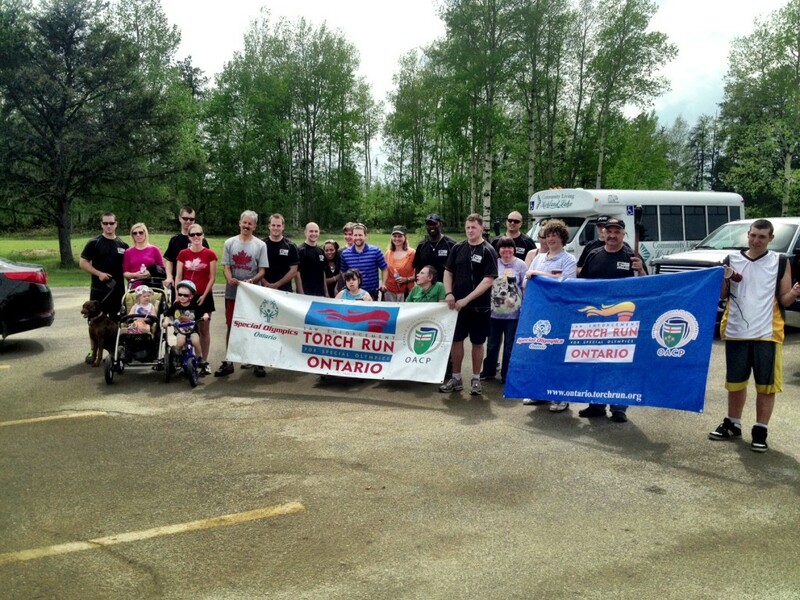 The following Friday, The OPP took to the Streets of Kirkland Lake for the Annual Torch Run in support of Special Olympics. 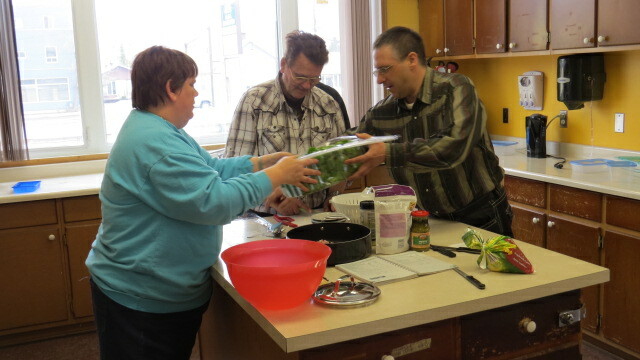 They were joined by Community Living staff and supported individuals. As they made their way through town, it was very encouraging to see the support from the community through cheers of support and on the spot donations. The run started at Northern College and made its way to Pettenuzzo’s Your Independent Grocer where a fundraising barbecue was held with great support from the community. We would like to take this opportunity to thank all those that took the time to help make these events possible. Thanks to the KL O.P.P for being a huge supporter of Community Living Kirkland Lake and participating in the game and the torch run. As well, thanks to J.R. Daoust for volunteering his time to take pictures at the game. To see more of these pictures please click here. Dennis Perrault did an excellent job refereeing the game and adding entertainment. Thanks also to all the fans who came out to support the event and gave generously to the Kirkland Lake Food Bank. Thanks to St. Jerome School for providing their gym for us to use. To Pettenuzzo’s for offering their location and securing donations for the fundraising barbecue and thanks also to all the staff and volunteers at Community Living who volunteered their time to participate and organize the game. Last but not least, thank you to all the players on the Special Olympics basketball team. Everyone gave their best effort, displayed excellent sportsmanship and played as a team. 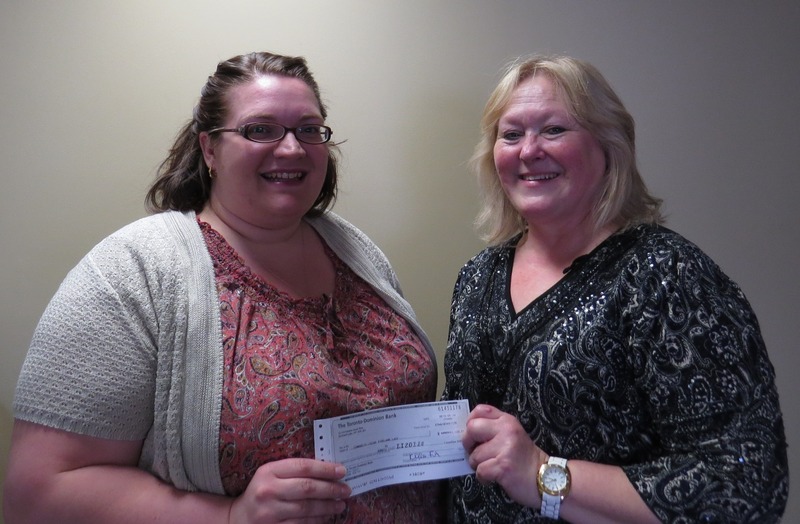 Community Living Kirkland Lake kicked off a fundraising campaign by making a few people a little richer. The agency’s January cash draw handed out prizes each weekday in January resulting in 21 people winning a cash prize ranging from $25 to $500. Mary Rozich of Kirkland Lake was the big winner, having her name drawn on the final day for $500. 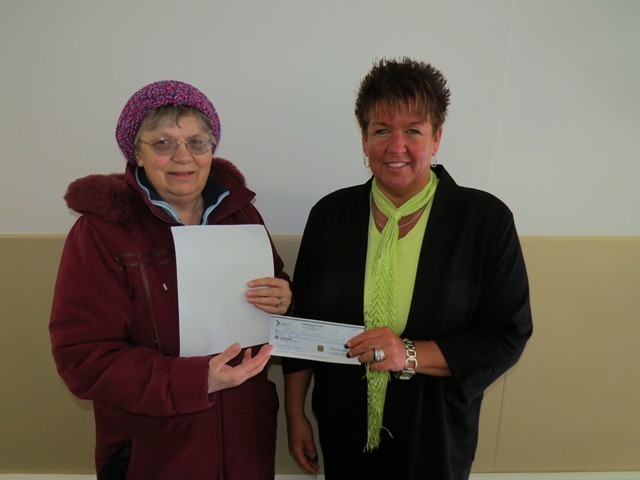 Kim Harvey, Residential Supervisor at Community Living Kirkland Lake presents Helen Rozich with a cheque for $500. Mrs. Rozich was the big winner in the draw that awarded $2000 in prizes to 22 lucky winners in January. The fundraising campaign will allow the agency to purchase a new van to meet the needs of the individuals supported by the agency. The agency would use the new vehicle to provide transportation to activities at its day program, Community Living Skills, as well as to transport individuals to medical appointments out of town. 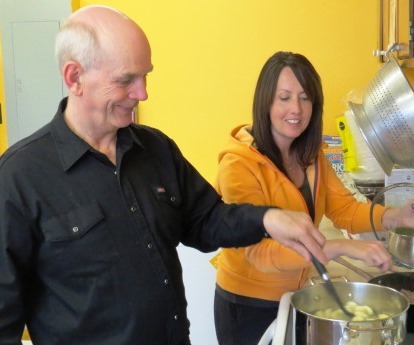 The agency’s funding comes from Ontario’s Ministry of Community and Social Services. Transportation, however, is not funded by the Ministry. 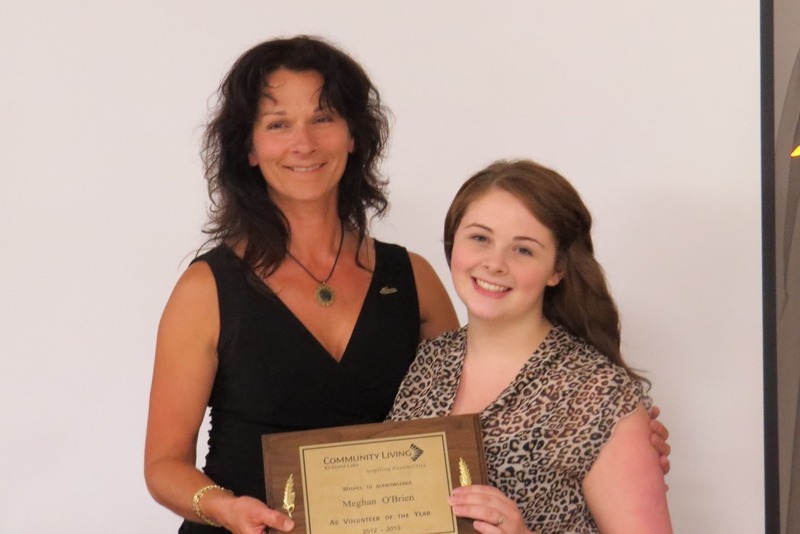 Community Living Kirkland Lake Executive Director Heather Topliss says it’s unfortunate but the agency is trying hard to purchase a vehicle that will meet our needs and preserve the vehicles they currently own. The January cash draw and other fundraising currently place the agency’s efforts at $12,000. The goal is to raise $40 000. 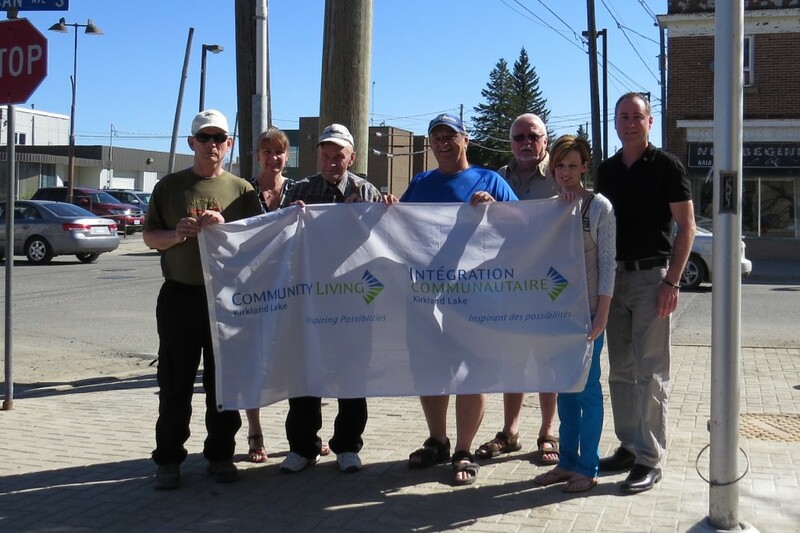 Community Living Kirkland Lake is a registered charity and all donations are tax deductible. 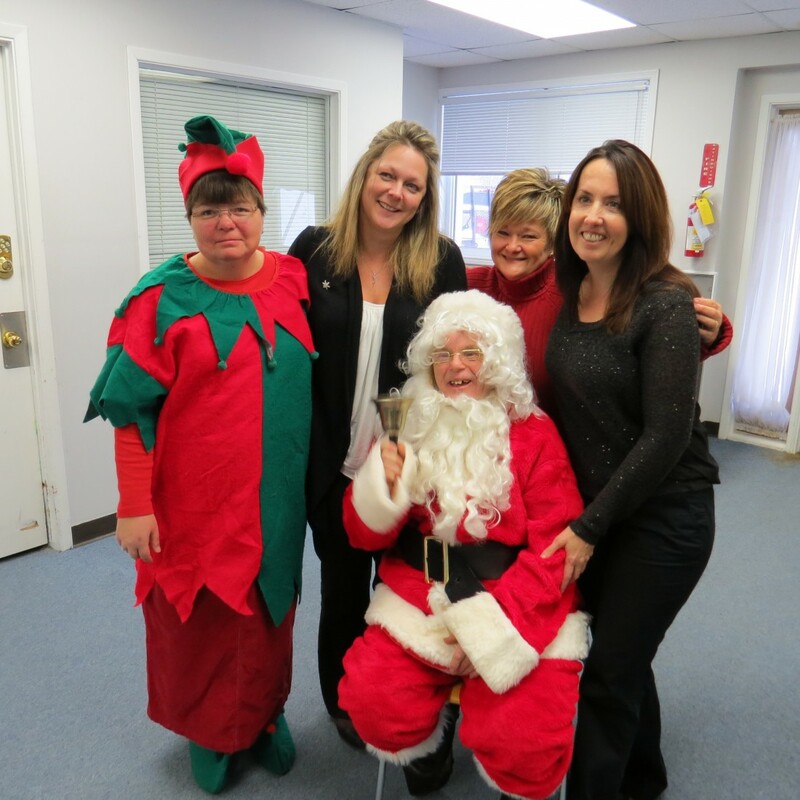 Santa and an elf paid a visit to the Staff at Community Living Skills in December.